We’re thankful year round, but Thanksgiving is a great day to point out why. We’ve chosen to be in this awesome industry because we know we’re making a difference in this world with our tactics like recycling and offering people a solid way to reach the landfill with only what they need going into it. We’re thankful for that opportunity alone, but more so because of the people in general who help make this business what it is every day. When you rent a dumpster, you’re reducing your carbon footprint. You’re making a decision to dump your junk all at once, meaning you’re taking less trips to drop off materials that your garbage can can’t even handle. Or that you’re keeping your property in good condition because you decided not to let a bunch of old junk sit around and rot into gross stuff that just gets covered by other pieces of junk. 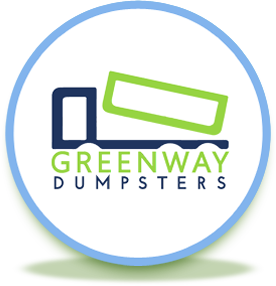 It’s you taking the step to research and realize that we offer recycling when we pick up your dumpster so you’re not forced to make an un-friendly environmental choice once you’ve already signed up with a dumpster rental company. There are so many aspects to our thankfulness here at Greenway, but our clients have to be that #1 reason.